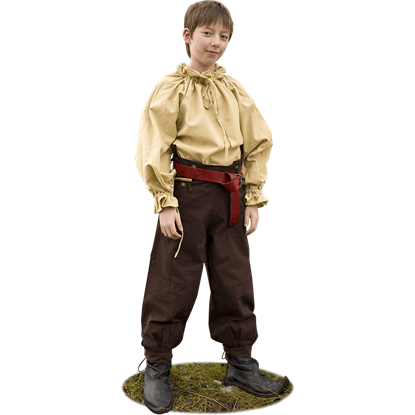 Dress your children comfortably in the Youth Medieval Sam Shirt. 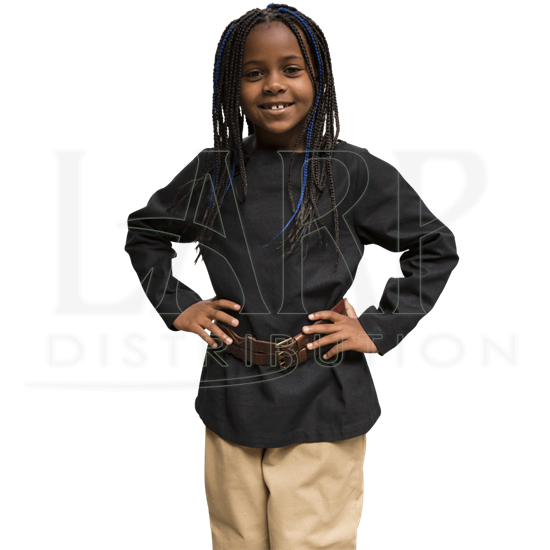 This childrens tunic is designed for comfort and is perfect for both genders and the sturdy design will hold up to their day of play without fear of ripping! 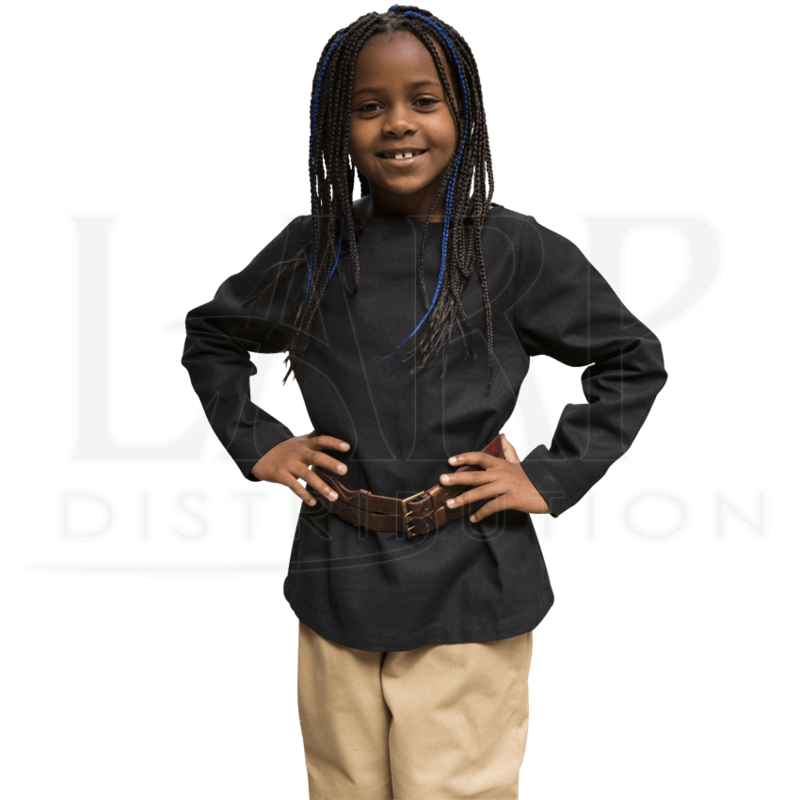 This plain medieval shirt is made from comfortable, dyed cotton, that possesses a gender-neutral cut, making it the perfect garment for both boys and girls. This comfortable childrens tunic has long sleeves, and can be belted around the waist to be worn as an everyday outfit, or worn under another piece as part of a costume! Know a medieval enthusiast with children or have one in your family? 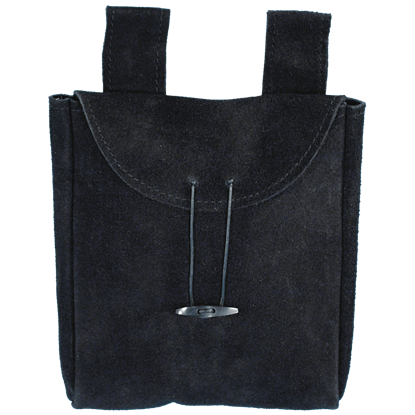 Add it to your childs cosplay or Ren Fair outfit and head on down to the village square! The Landsknecht were a colorful mercenary group that became a powerful military force during the late 15th and 16th centuries. 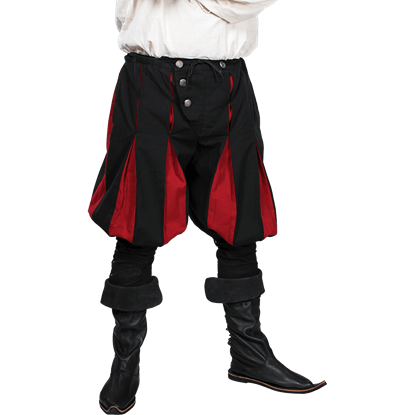 This Medieval Landsknecht Pants reflects the overall style that typified this legendary group of warriors. The Landsknecht were a mercenary group that became a powerful military force during the late 15th and 16th centuries. 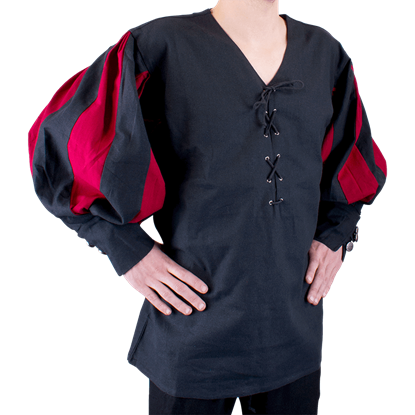 This Medieval Landsknecht Shirt reflects the slashed sleeves and multicolored design that the group was famous for.